Many years ago, I had to take some time off work for depression. I had a sick note from the doctor, and had disclosed that it was mental health–related. After two weeks, when I was just starting to feel like I could cope again, my colleagues invited me out for the evening. I wanted to remain welded to my sofa, but I decided to go as a way of easing myself back into my routine. I returned to work the following day, and my office manager dressed me down in front of the entire office because I had been seen out while off sick. I work for a very different company now. I also live with bipolar disorder. And while I am generally well medicated, that doesn’t mean I am well all the time. This past summer, my psychiatrist suggested a medication tweak to help lift my overall mood. After a lot of thought, I decided to go ahead. After more than eight years of varying meds, I know how easily a small med change can descend into a spiral up, a spiral down, or, on special occasions, both. I worked with my manager as well as our HR team to ensure they were in the loop and could provide me with support through the process. I explained possible side effects and put together a draft set of emails handing off responsibilities should I need to suddenly not be at work. I assumed I was as prepared as I could be. What I didn’t do was let my team know about my med change. Although everyone who reports to me is aware of my bipolar disorder, I didn’t feel ready to be that open. And now I’m reflecting on why. Around one in four of us will be affected by poor mental health in our lifetimes. That means many of us have to learn to cope with mental health issues in the context of work. However, almost none of us will feel free to discuss those issues at the office, or to seek support from our employers or colleagues. Almost 15% of people experience mental health problems while in the workplace. Women working full-time are nearly twice as likely to have a common mental health problem as their male counterparts (19.8% versus 10.9%). 12.7% of all sickness absence days in the UK can be attributed to mental health conditions. As a member of the large working population affected by mental health issues, I am lucky to work for an incredibly understanding, accommodating, and human company. My teammates support me fully. Everyone here at Olark (we are a live-chat-software provider) lives out our company value of “assume good faith.” When I need extra time and space to focus on my mental health needs, I can take it, with no negative consequences or questions asked. Many human resources managers believe that those who have experienced psychiatric illness will be worse at their jobs and as a result they are more likely to request ‘further information’ if an appointee reveals such a history (Glozier, 1998). About half of employers would not wish to employ a person with a psychiatric diagnosis (Manning and White, 1995) and two-thirds of employers in the private sector and in small and medium-sized companies report that they have never knowingly done so (Chartered Institute of Personnel and Development, 2007). People with mental health problems frequently report being denied opportunities for training, promotion or transfer (Michalak et al., 2007). Work colleagues tend to view mental illness as personal failure (Herman and Smith, 1989) and many report being uncomfortable working with a person who has mental health problems, particularly if they are currently unwell (Manning and White, 1995; Scheid, 2005). For a company with 500 employees, where all employees undergo the intervention, it is estimated that an initial investment of £40,000 will result in a net return of £347,722 in savings, mainly due to reduced presenteeism (lost productivity that occurs due to an employee working while ill) and absenteeism (missing work due to ill health). That’s more than an eightfold return on investment. All we have to do is break the ice, face the elephant in the room, and start talking openly about mental health in the workplace — but as I learned last summer, it’s not as easy as it sounds. 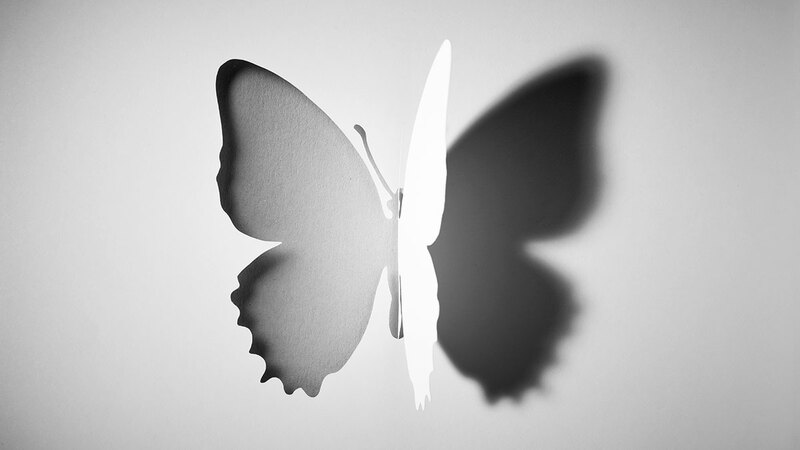 I have made a conscious decision not to hide my bipolar disorder. Along with my teammate Madalyn Parker, I’ve worked to normalize mental health struggles here at Olark. I once even participated in an hourlong documentary in the UK exploring my journey with bipolar disorder in order to raise awareness about mental health. I’m as open as I am because I have firsthand experience with leaders who don’t provide a safe space to talk about mental health, and that’s not the kind of leader I want to be. But for some reason, when it came to letting my team know about my med change, I balked. The change wasn’t smooth, but I hung in there, working. Partly because I am stubborn, partly because my Presbyterian worth ethic and guilt complex are hard to break, partly because I didn’t want to let anyone down, and partly because work, for me, is a really useful way of forcing my brain to focus. At first, I was delighted with myself for pushing through. But I also began to feel some very normal insecurity and doubt. I spent too much time overthinking things I said and wrote, obsessing over whether people could tell I was feeling awful or manic. I wasn’t fully present in meetings, and I let some things slip. It is entirely possible I added to the workloads of people around me without realizing it. Not telling people was most certainly no better than telling them. All that fear stemmed from lack of confidence in my own ability, and in how others perceived my ability, to do my job. My self-image had ceased to be based on real things like data, my track record, or the feedback I received. I was starting from perceptions, not facts — a “perception inception.” It was like I was staring into one of those distorting mirrors, reflecting down an endless corridor, constantly worrying about my perception of someone else’s perception of me. But most perceptions are rooted somewhere in reality, and this one was no different. It relates to the experience I started my story with, about the former employer who didn’t give me the support I needed. That happened in the early 2000s, in an environment where mental health was rarely discussed and we worked long hours. I believed work was not a safe space to be open about mental health, and the situation stoked my fear that my depression was a weakness, a source of failure, and a secret to be kept close to my chest. It took a long time before I talked about mental health in a work environment again. One-third of employers would not believe the information on a sick note from an employee with a mental health problem (Manning and White, 1995) and, compared to those with “physical” disorders, employees returning from a period of “psychiatric” sick leave are likely to be more closely questioned, to be demoted or to be placed under greater supervision. A number have been dismissed (Michalak et al., 2007) and in one study 6.3% of workers with a serious mental illness reported that they had been fired, laid off or told to resign (Baldwin and Marcus, 2006). Understandably, people with mental health problems may be concerned about how taking of sick leave will be viewed and as a result remain in work and sometimes become more ill. Reflecting on my experience many years later, I can see that it was the start of a realization that there might be a different way to be leader, a more empathetic way. Old habits die hard, though. As a new director within Olark, lacking confidence in myself and my abilities, and fearing being seen as a failure, I defaulted to learned behavior. As a leader, I want my team to feel that they can come to me and talk to me about anything that is affecting or might affect them or their work. I need them to know that it is a safe space and that what they disclose will not affect my perception of them. It is entirely up to each individual what they disclose and when. That goes for everyone in my team, and for anyone reading this, regardless of their professional role or personal situation. But for me, in this particular work environment, I know that I need to model transparency and trust. I need to ditch the perception inception. I don’t expect this to be easy, but I’m more sure than ever that it’s worth doing. I hope my story inspires other leaders to open up about their challenges too. We’re all human, and the more we can embrace that fact and be honest about our ups and downs, the more we’ll foster respect and trust in the workplace.